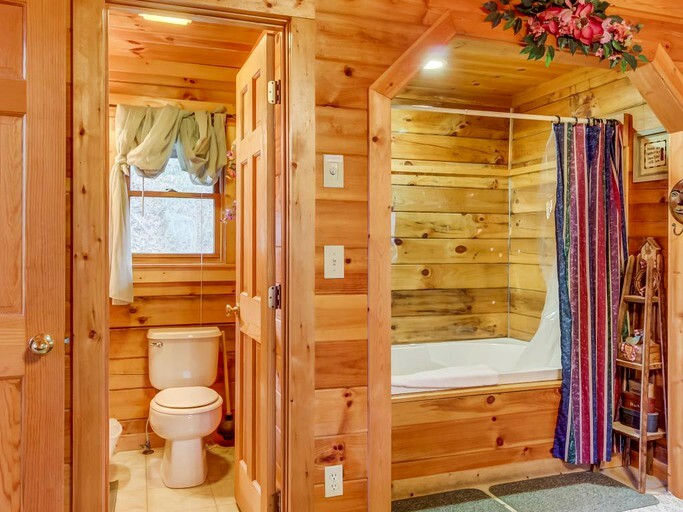 This cabin had everything we needed and then some. 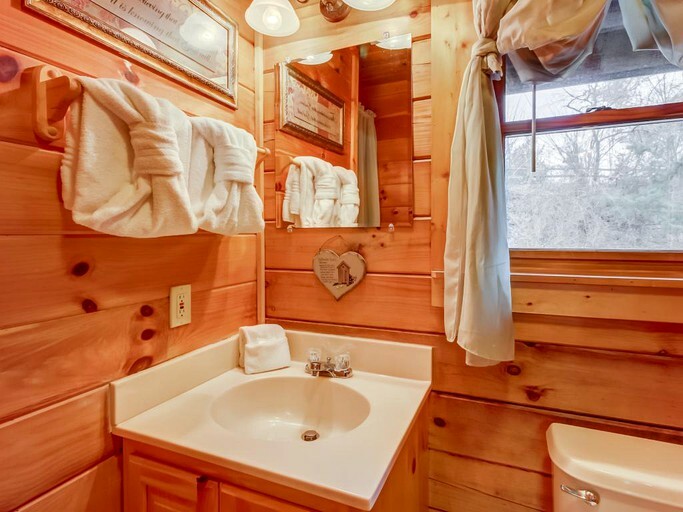 The cabin was clean and well appointed. Couldn't have been happier with our choice. 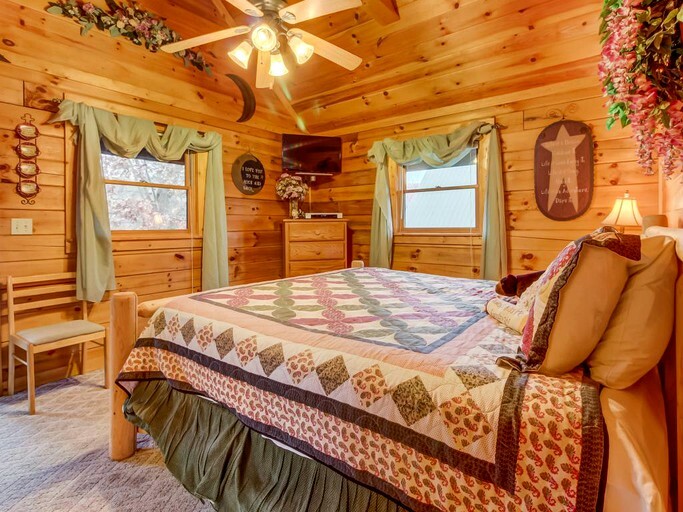 This peaceful mountain cabin in Pigeon Forge, Tennessee, boasts a hot tub and genuine, rustic furnishings making it sure to help any guests to relax. 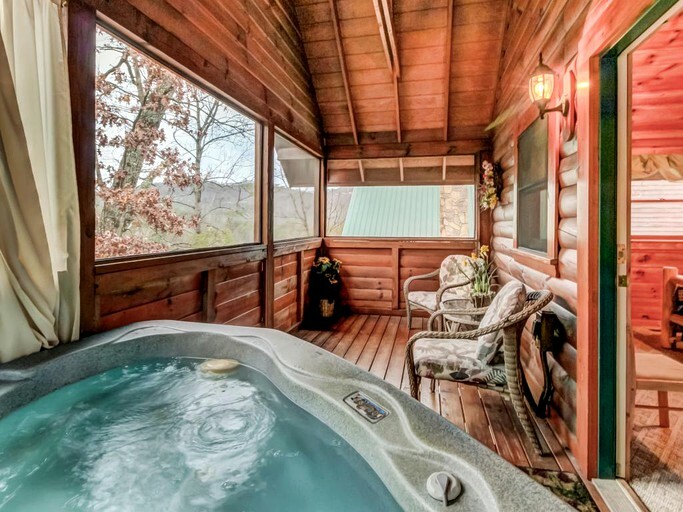 Dog-friendly and nestled into the tree-studded mountains of eastern Tennessee, the screened patio where the hot tub sits overlooks the incredible treetop-strong view. 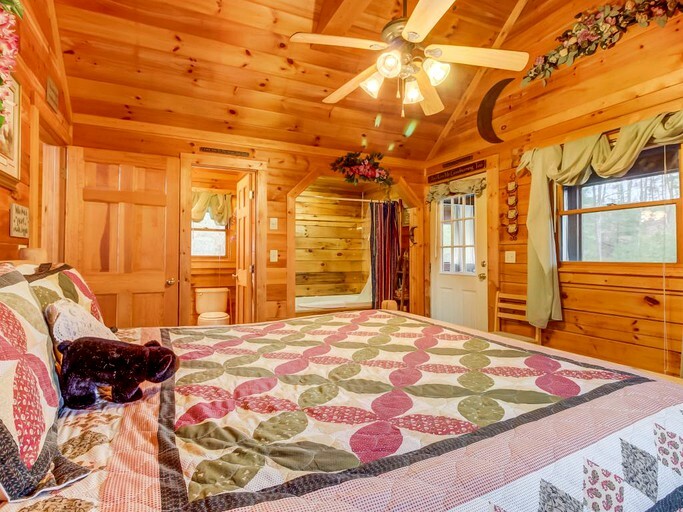 The one bedroom hosts a luxurious king-size bed, while the bathroom is fitted with a combined jet tub and shower. 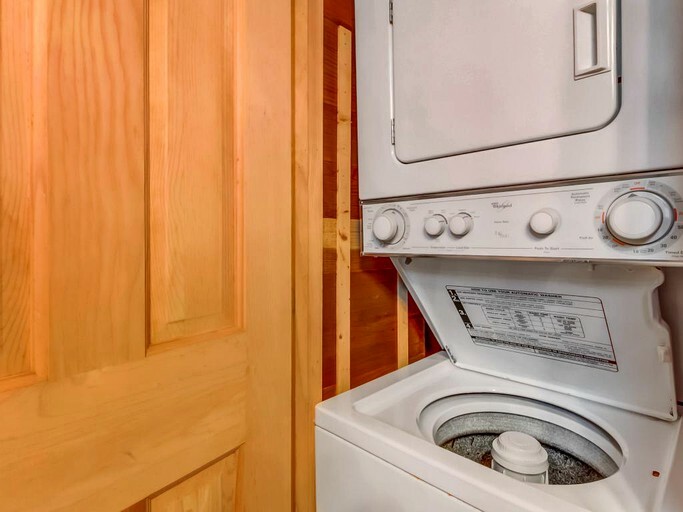 Those who stay will enjoy the conveniences of air-conditioning and heating, as well as a private washing machine and clothes dryer. 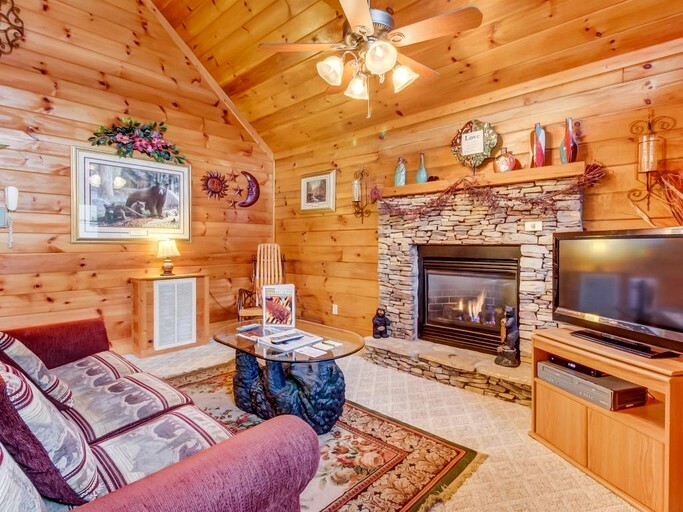 Cable television and an internet connection are available. 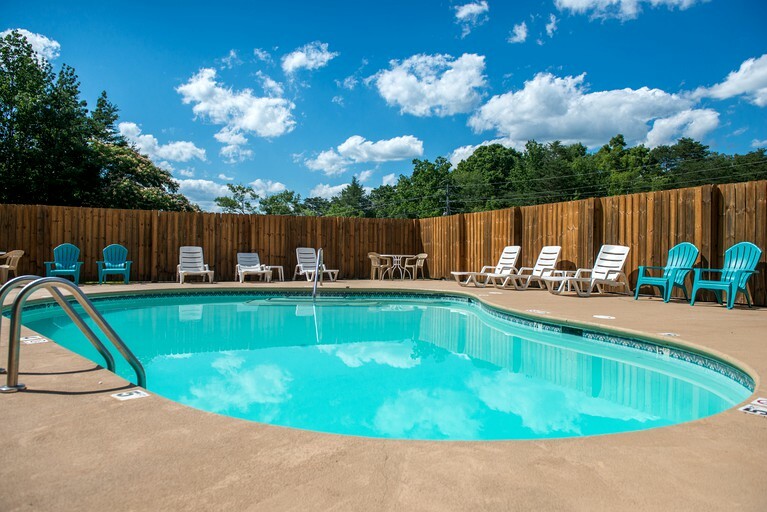 A shared seasonal pool is available on this property for cooling off on warmer days. 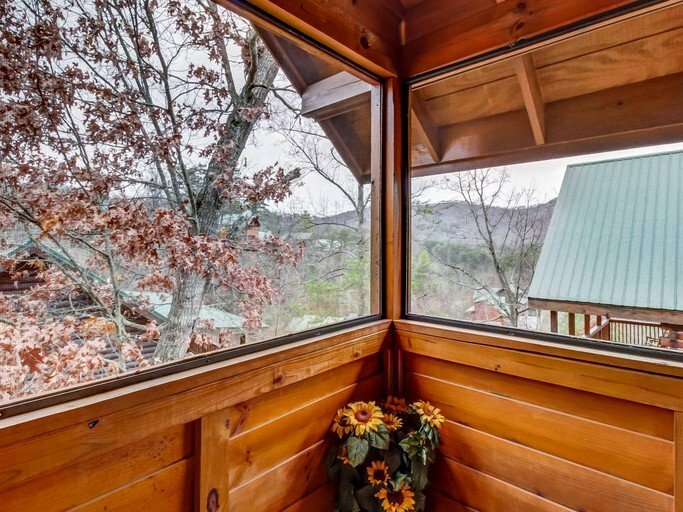 Being so close to the entrance to the Great Smoky Mountains National Park, it would be a shame for guests to not visit this beautiful park and enjoy the fresh air, diverse wildlife, and beautiful waterfalls. The Island in Pigeon Forge is nearby and is home to several restaurants, live entertainment and music, games, and retail shops. 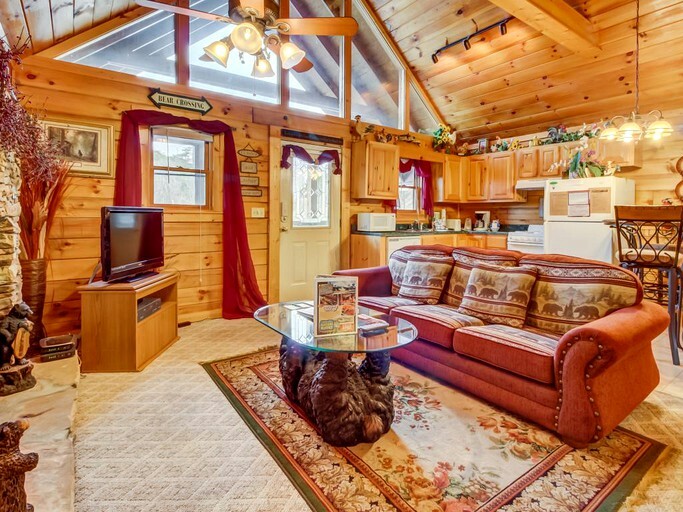 Pigeon Forge is also home to the exciting Dollyland, where guests can enjoy dozens of rides, and where Splash Country waterpark is available for hot summer days. 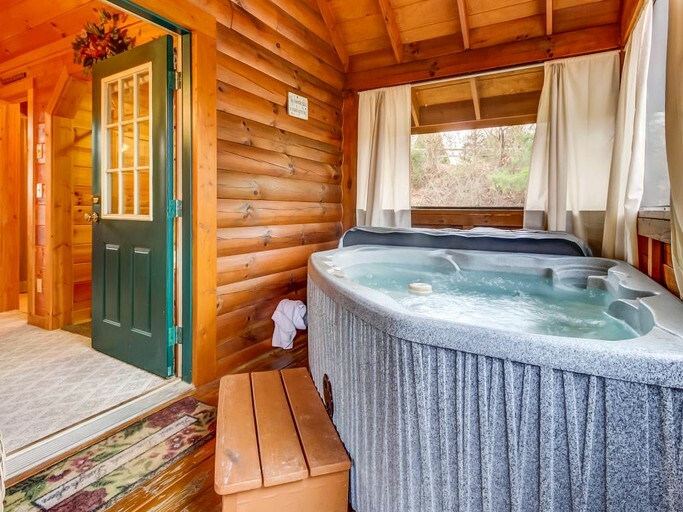 At the property's doorstep lies hiking trails and areas to explore, fish, and cycle. Grab dinner in town at The Dixie Stampede and enjoy an entertaining show at the Smoky Mountain Opry. For quieter days, guests can visit the Hollywood Wax Museum or the Titanic Museum. 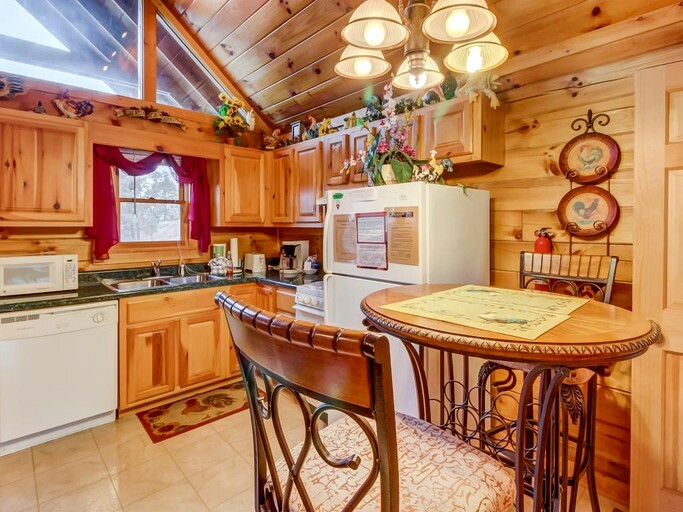 This property is dog-friendly, however, dogs must be under 20 lbs. A nightly fee is included for any dogs.